Soothe bunion pain and pressure in any shoes or while going barefoot. Silver Steps™ tailored gel bunion protector with loops cushions your little toe and keeps it properly aligned to prevent crowding, overlap and friction. Thin design is comfortable in most footwear and features 2 soft gel loops that gently slip over the fourth and fifth toes. Diabetic-friendly gel bunion pad cushions the side of foot, reducing pressure on the MP joint as it slowly releases medical-grade mineral oil for hydration therapy that moisturizes and protects skin. One pair of gel pads. Do not place on open wound. My bunionettes hurt and my small toes have been turning in for years. Hoping these are worth the purchase and help my feet. Having pain in this area. I am a dancer and starting to have pain on the side of my foot. Had 5 stars and I have tailor's bunions. Hope to stop pain when walking. I have Tailor bunion on both feet. And I'm on my feet at work 5 days a week. In a lot of pain I have had surgery on right foot tailor bunion 2006. To help with pain from tailors bunion. the reviews were great, and the price was reasonable. I have a Tailor's bunion and want to try a natural approach prior to going to a doctor. I don’t yet have a full bunionette but I am developing a fair amount of swelling at the tailors bunion spot, like a bursa. Rather than let it worsen I am going to try these. I’m a runner and am concerned about it worsening and possibly affecting my running. Stay tuned. I believe that I have noticed an enlargement along MP 5 resulting from my pinky toe curving too far into my 4th toe. I am starting to feel pain in my newly but slowly formed “tailors bunion,” and hope this product straightens out my 4th and 5th toes while also padding the so-called bunion. This is the reason for me trying this product. Will his fit my right toes? BEST ANSWER: Thank you for your question. 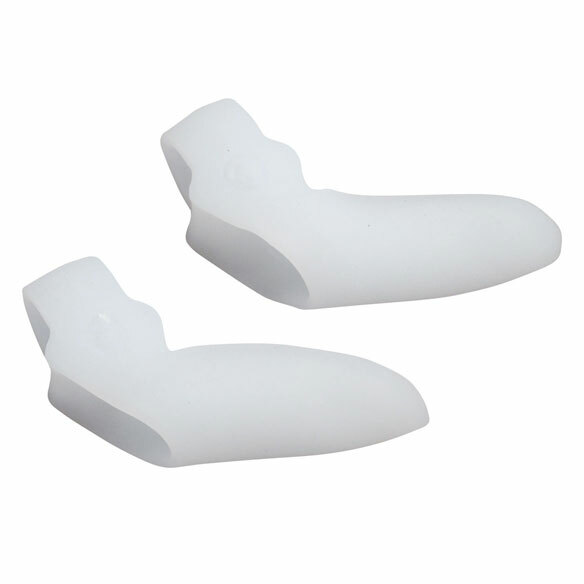 This item comes as one pair and has both left and right side bunion protectors. We hope this information will be of help to you.